What causes this chapping of lips to happen? Is there something you can do to prevent it before it starts? There are many reasons that cause your lips getting chapped. Using hot water for bath that makes the skin dry. Using soaps that removes the natural moisture of lips. Do not lick your lips . 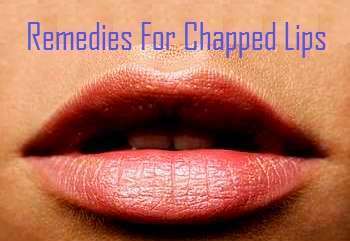 Do not peel the dry skin of the chapped lips because it will cause bleeding. Regularly apply lip balm or Vaseline to keep the lips moist. Lip gloss can protect the lips from cold air. The following treatments will make your lips soft and smooth. Apply a mixture of glycerin and honey on the lips. Massage your cracked lips with a little castor oil to cure them. Slowly massage lip balm or unflavored Vaseline on lips. Milk, milk cream, butter are good for removing dry dead skin making the lips smooth. If your lips are bleeding, treat them with neem water. Make the neem water by boiling some neem leaves in water. It will help to heal the cracked lips quickly. Apply dettol cream on bleeding cracked lips to heal them. Aloe Vera and cucumber juice are said to help to heal cracked lips.